information technology solutions to companies in the Northeastern United States, today announced that it has been recognized by UBM Tech Channel as a part of CRN’ 2013 Solution Provider 500 list, which identifies the top technology integrators in the U.S.A.and Canada based on revenue size. Formerly known as the “VAR 500”, the Solution Provider 500 ranks the highest producing solution provider organizations in the IT channel from hardware sales, software sales, and managed IT services. This is the second year in a row Daymark has been honored. The 2013 Solution Provider 500 list category awards will be presented at the BoB thought leadership conference in October. 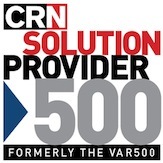 A sampling of the 2013 Solution Provider 500 list is featured in the June issue of CRN Magazine and is featured online at www.crn.com. The complete list of 500 companies will be available in the CRN Tech News app, available for iPad and Windows 8. Daymark Solutions is an experienced technology solutions provider that helps organizations in the Northeastern United States effectively apply technology to solve business challenges. Specializing in infrastructure, data protection, virtualization and cloud & managed services, Daymark architects and implements best-of-breed storage, network and compute solutions. The company’s unique combination of in-depth technical knowledge, extensive experience, and proven methodologies enable its clients to successfully address even the most difficult technology challenges. For more information, call 781-359-3000 or visit www.daymarksi.com.